This morning is the first of December and so, after making a coffee, I opened the first part of my Pop’n’Hops Beery Advent Calendar. 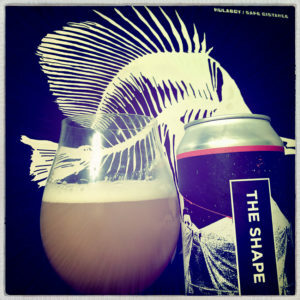 The Shape is a Double Dry Hopped IPA crammed full of Idaho 7, Centennial Cryo and Chinook hops that massage your senses with lime zest and lemon curd, orange marmalade, rolling tobacco and fizzing sherbet. There’s also a big chewy brown sugar, doughnut and honey malt body and a big wash of warm white rum booze that makes for a long and rewarding bitter sweet finish. NB: I drank it in the evening, honest. 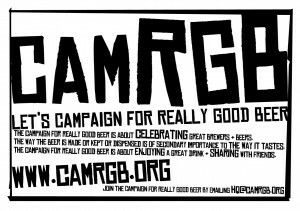 This entry was posted in Beer Review, CAMRGB and tagged Beer, Beer Advent, Beer Review, CAMRGB, Can, Canned beer, Drinking, IPA. Bookmark the permalink. Hi from south France : NISSA LA BELLA !!! This Beer is really CRAZY …LUV IT . WYLAM is The Master of The Ceremony ( MC) at this early 2019.